Rich in history, culture, adventure and food, South America is an amazing place to explore. With so much diversity within each country and the continent itself, the route you want to take will depend greatly on how much time you have, what your interests are, how you travel and what time of year you are visiting. Here are a few route ideas to help you plan your adventure. If you want to spend most of your time trekking and being outside and active, Peru is certainly the place to be. Start by arriving in Lima and booking a 4 day trek along the Inca Trail to Machu Picchu. From there, you can head east to explore the Amazon Basin in Parque Nacional Manu. Neighbouring Bolivia is also a must visit when you are so close as it is home to the Salar de Uyuni salt planes as well as Death Road which has become very popular amongst cyclists. A place to devote much of your adventure seeking time to though is Patagonia. Keep heading south to the Argentina/Chile area where you can hike the Laguna Torre which starts in El Chalten. Here you can see small icebergs while you relax and enjoy a picnic. 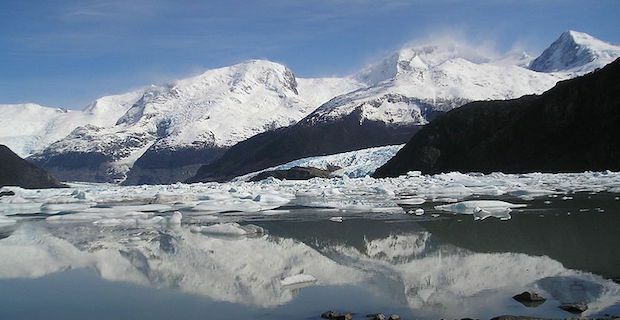 If you want to see ice up close, ice trek in Argentina’s Los Glaciares National Park. Water lovers can also kayak down fast paced rapids or relax on quiet rivers depending on what you are more interested in. If you are looking for a history-centered trip, then short route centred around Peru and Bolivia will o the trick. Fly into Lima and head a little North to take in the largest pre-Columbian city of Chan Chan. This is located near Trujillo and is on the List of World Heritage in Danger. The mysterious Nazca Lines to the south of Lima are also intriguing and can be viewed from a small plane above. The pre-Columbian site Tiwanaku, which is 2 hours from La Paz in western Bolivia, is where you can see stone carved monoliths and much more. If you want to cover as much of South America as you can and see some of the top tourist sights, a suggested route starts by heading to Venezuela where you will find the beautiful Angel Falls. Head west to the famous Galapagos islands in Ecuador, then enjoy the journey down to Peru and take in Machu Picchu either via the Inca trail or by train. Once you have explored Inca history, continue your journey to the Bolivian border where Lake Titicaca resides. From there, you explore the world’s largest salt flat, Salar de Uyuni and end your journey by walking in the Atacama Desert and spending time on Easter Island in Chile. Looking for the best Buenos Aires cheap flights? What better time of year to enjoy a southern hemisphere summer? Mendoza, Argentina: Latin America’s largest winemaking region. Where to stay and eat in Buenos Aires.